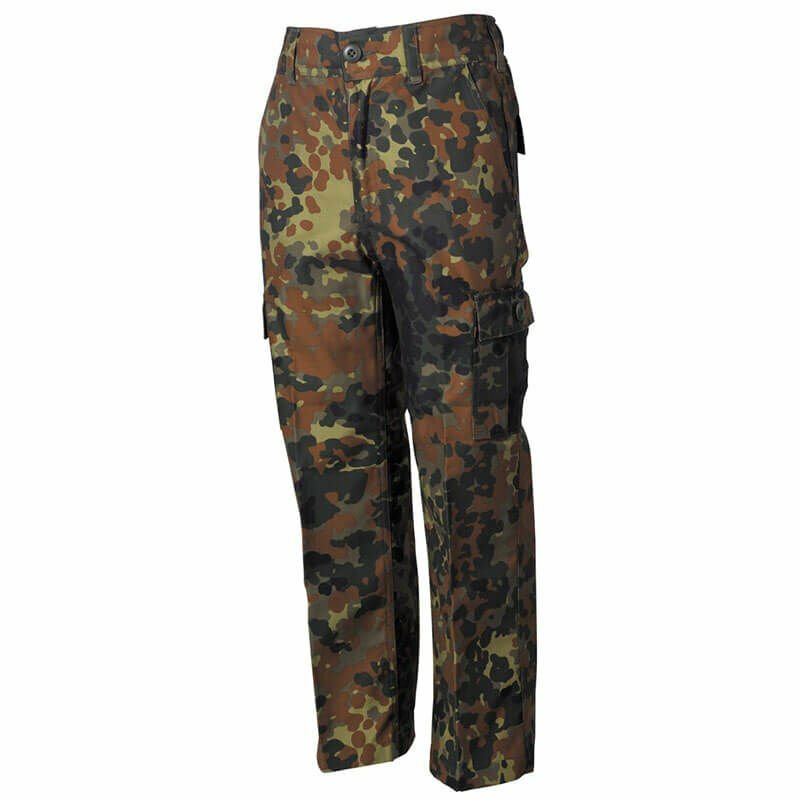 BDU children's pants modeled on the classic trousers that are worn by US ARMY. Made with combination of polyester and cotton. The trouser legs are finished with puller strings, which allow them to fit better to the leg. Equipped with 6 pockets: 2 cargo on thighs fastened with buttons, 2 rear and 2 at the front. Suitable for everyday use.